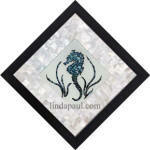 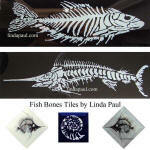 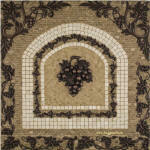 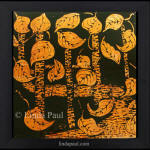 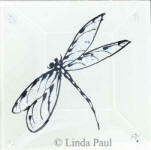 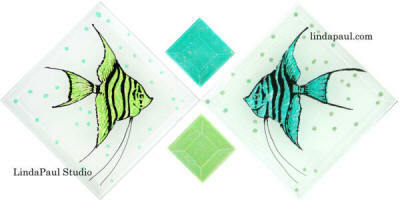 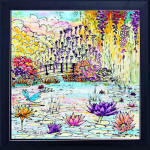 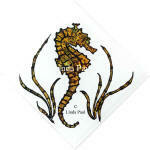 Hand-made Glass Tile Original Backsplash Art by artist Linda Paul. 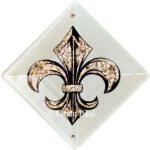 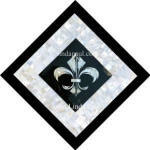 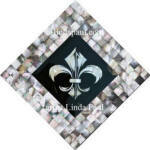 paua shell and glass fleur de lis tiles New! 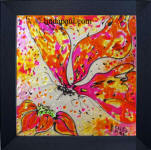 Abstract Butterfly original Glass painting - can be used as a backsplash. 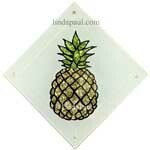 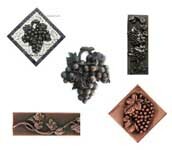 Just $399.00 framed size 14" x 14"
Removable temporary backsplash: You can just hang our ready to hang framed glass backsplashes behind your stove directly on your wall as a removable backsplash. 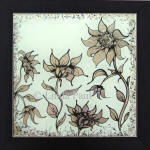 We will attach a hanging wire to the back of the frame. 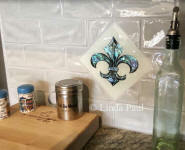 Permanent DIY Backsplash . 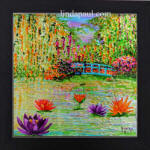 You can glue the framed artwork directly to your wall.